In 2011, Washington Post reporter Brian Vastag asked us to “imagine a stack of CDs, each holding an album’s worth of digital music, shooting from the top of [our desks] to 50,000 miles beyond the moon.” Apparently that’s how many CDs it would take to store the digital data the world produces in just two months. Adding your company’s blog to this galactic data swirl is, for the average web user, a potentially daunting task – even moreso when it’s the keystone of your company’s shiny new content marketing strategy. But before you hit the escape key, we’d like to remind you of the value that a living, breathing blog can add to your brand. Based on findings from a recent content-marketing trends report, up to 77 percent of content marketers maintain a blog, with the majority aiming to drive traffic to their website. An informative, active and engaging blog will increase traffic organically, but it also helps harness the power of Google through search engine optimisation (SEO): key-word optimised blogs can elevate a company’s website ranking when users search for relevant words or phrases, placing them above competitor websites in search results. 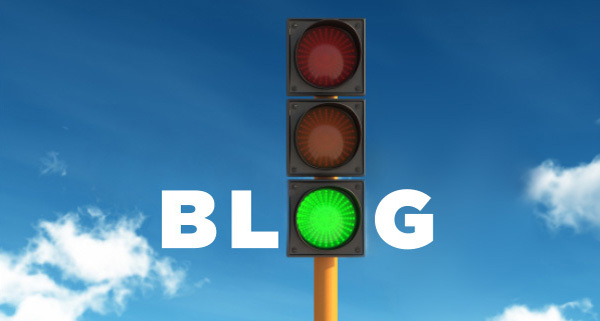 Engaging blog content also increases the likelihood that other websites will choose to link to your blog, driving further traffic to your site. In fact, recent research shows that companies that blog have 97 percent more inbound links to their website. Web traffic aside, a blog functions as a branded content hub, providing your company with a platform to lead and influence relevant conversations with potential clients. You get to demonstrate an unchallenged sense of authority and expertise in the industry, while connecting with readers on a personal level. Most importantly, a blog housed on your website can do great things for overall reputation and generate positive sentiment for your brand. Engaging content that stands true to your brand’s core purpose, mission and values provides the reader with a personable brand ‘experience’, proving your company has a heart and a mind. In a competitive environment where similar products and services vie for attention, it’s the emotional connection with a brand that plays a vital role in the consumer decision-making process. Define the target audience and strategic motive behind starting your blog. Write like you mean it. Keep content engaging. Useful and interesting posts keep readers coming back. Chat to colleagues to gain their insights. Brainstorming is a useful creative strategy. Keep posts easily digestible. An ideal post should be between 400-800 words. Assign a blog ‘director’ for consistency of tone and content. Hook readers with a compelling title, introductory paragraph and image. Stay true to your brand personality. Get social! Let users know your blog exists by sharing your posts across your social media platforms. Keep posting. A loyal audience takes time.